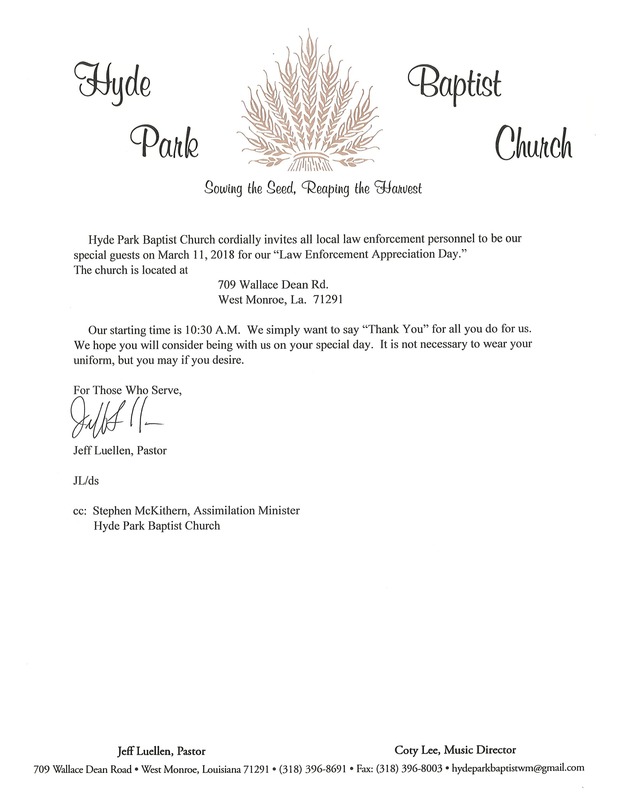 Hyde Park Baptist Church cordially invites all local law enforcement personnel to be their special guests on Sunday, March 11, 2018 for “Law Enforcement Appreciation Day” at their church. The service is being held as their way of saying “Thank You” for the services law enforcement officers provide. Hyde Park Baptist is located at 709 Wallace Dean Road in West Monroe. The service begins at 10:30 a.m. Departmental uniform is optional.